Report on Summer Camps at Susya and Umm-Al-Kheir | The Only Democracy? The summer camps at Susya and Umm-Al-Kheir have just ended. 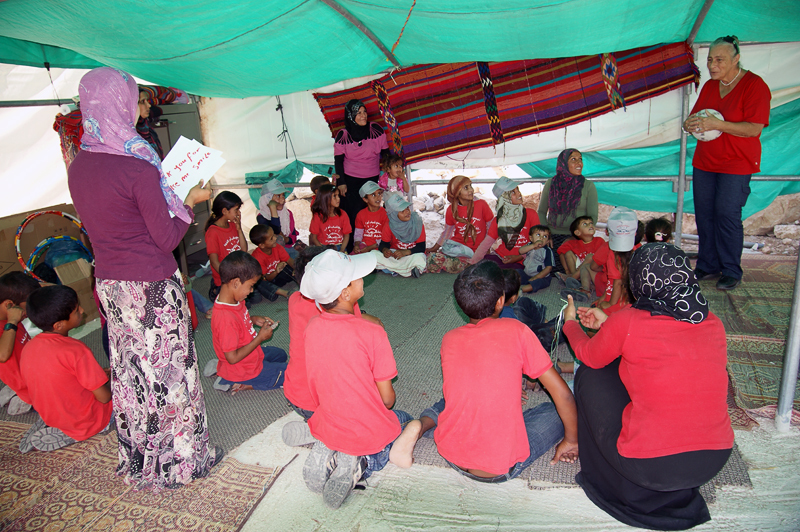 Both camps are organized locally, and funded with the help of outside donors. Villages Group activists help arrange these funds, work with organizers to help meet their needs, and – most rewardingly – visit the camps to interact with the kids. At Palestinian Susya, this has been the third consecutive year for the camp. As mentioned above, this has been a homegrown local initiative from the start. This year has seen an impressive increase in the number of participating children: more than 100 children took part each and every day for two weeks. They were divided into several groups, all led by local counselors. 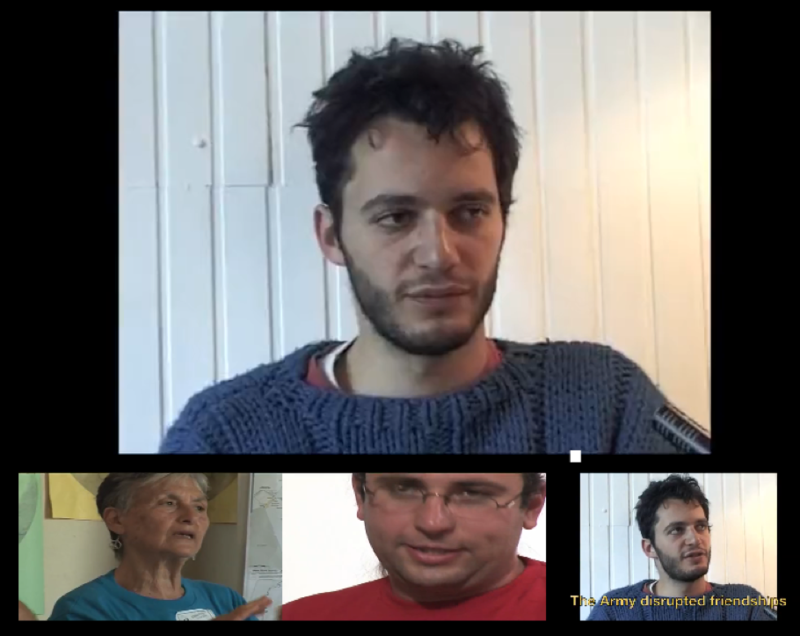 Many other Susya residents pitched in to help when needed, and contributed much to the camp’s success. From our perspective, having accompanied the camp for three years, we at the Villages Group are especially impressed and encouraged this year by the widespread local mobilization, by the range of activities, by the strong organizational skills and by the spirit of participation and enjoyment prevailing among both children and grownups during the camp. It was a time of pleasant respite for the residents of Susya, who face daily struggles with the Israeli Occupation forces, and especially with the settlers of Israel-established Sussya – who are doing all they can to embitter the lives of their Palestinian neighbors and drive them off their ancestral lands. Funding for the camp was obtained from many individual donors, most of them Israelis, whose soul has been attached – from anear and afar – to the fate of Palestinian Susya. 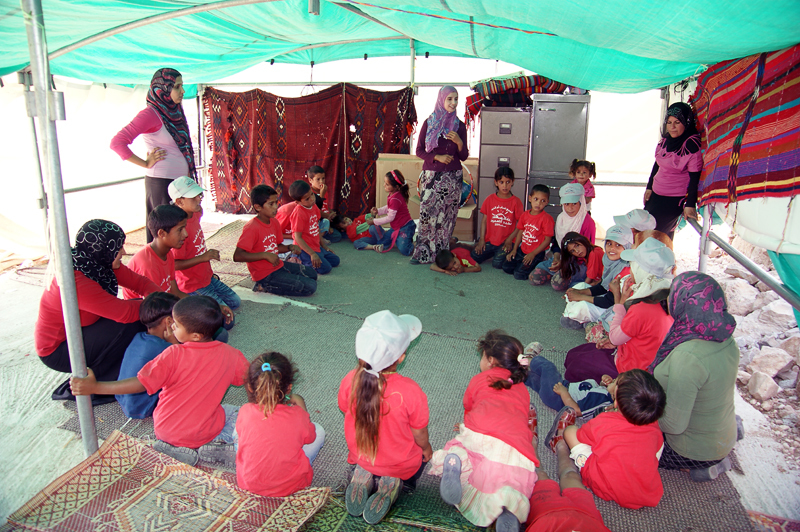 In mid-July, for the first time, a two-week-long summer camp was launched for children at Umm al Kheir, a Bedouin hamlet in the South Hebron Hills. The camp is organized and directed by the younger adults of this community. Several families at Umm al Kheir have suffered extreme hardships due to their proximity to the settlement Carmel that was built on their lands thirty years ago. Heavily subsidized by the Israeli government, Carmel has continued to expand in recent years, including its chicken coops and new neighborhoods (one already constructed and populated, the other in its planning stages). The settlement has been closing in on the Bedouin families from all sides, threatening to strangle them – a process backed up by intense house demolition actions carried out by the Civil Administration and the Israeli Occupation authorities. In view of these aggressive dispossession processes, the young educated generation at Umm al Kheir, supported by groups, organizations and individuals from the outside, has been taking measures such as founding a community center and organizing this summer camp. They hope to give the local residents, especially the children, a sense of creativity and vivaciousness facing the brutal pressures constantly exerted upon them by the Occupation apparatus. Here are a few photos from the closing day of this new summer camp. The potential here is great. Indeed, the five-women team of Umm al-Kheir’s summer-camp: Naama, Sara, Ikhlas, Thaghrid and Dalal, did their best and proved once again that by working together they are capable of doing many wonderful things for their community. We hope that the next years will show that Umm al-Kheir’s summer camp will grow to become as successful and enduring as the one at Susiya.